Slide deck presentations don’t have to be boring. 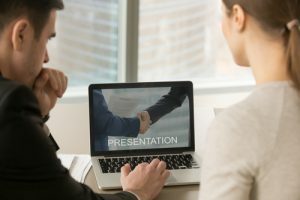 With good organization and a little creativity, you can turn your presentations into highly effective tools for convincing prospects of the value you’ll bring to their construction plans. If you’re trying to win over a new client, the goal of your slide deck presentation is to persuade them by providing information. A mess of disjointed data from past projects can’t do that. By organizing your presentation as a story, though, you can convey information in a clear, memorable way. Remind your audience of the problems they’re facing, show them how things could be instead, then show how your company can get them from A to B. So if your prospects are looking for an expert in modernizing office buildings, you might start by describing problems such as energy inefficiency and crowding, then show how your company has solved these issues with energy-saving features, public spaces, better building access, and other improvements. To keep things clear, stick with three main benefits your company offers and three points about each. We tend to process information presented visually faster and remember it for longer than written information. Slide decks are perfect for conveying your value visually, but so many presenters miss the opportunity by transferring text directly onto their slides in the form of full sentences and bulleted lists. The result is dull and confusing. Instead, use visuals to clarify and augment your points. Each slide should give an instant visual summary of the specific value you’re presenting, while you fill in the details verbally. Put some thought into the best way to represent your main points visually. Replace bullet points with diagrams or illustrate features and benefits with icons. For example, you might use a colorful blow-up drawing to show the energy-saving features commonly included in your buildings. Combining a photo of a finished building project with a graphic illustration of the value you brought to that project is another option. Performing a SWOT (Strengths, Weaknesses, Opportunities, and Threats) analysis on your content can help you get an effective, workable content marketing strategy into place quickly. With this done, you can be sure everything you publish will pull its weight in terms of bringing you new construction leads. 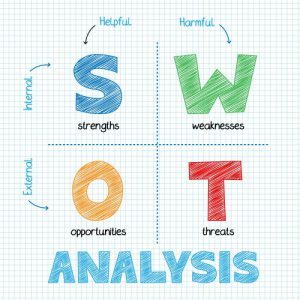 If you’re at a loss for how to move forward with your content marketing, a SWOT analysis can show you the way. It’s a simple process that gives you clear, usable results quickly even if you’re not an expert at marketing or data analysis. To start, all you’ll need is a list of basic stats on your best and worst performing content, such as formats, topics, lengths, and traffic sources, and a similar list for your main competitor’s best content. Then work through the process of listing your content’s strengths, weaknesses, opportunities, and threats. If your best performing content focuses on cutting-edge innovations in prefabricated buildings, but your competitors are behind the times, you’ve found a strength you can capitalize on. If you notice your competitor’s content shows up in the search engine results ahead of yours, that’s a threat to look out for. Competitor not doing much on social media? There’s an opportunity for you to grab the leads they’re missing. 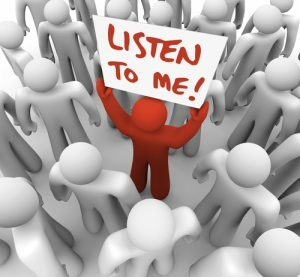 When you know what your content has going for and against it, you can more easily determine the direction you want to take with your content marketing. Say you want more single-family home construction leads. If you know you’re good at creating home tour videos and you’ve spotted an opportunity in social media, you might focus on filming more videos for social media. With that goal in mind, you can get to work brainstorming ideas for videos, deciding how to integrate them into your sales funnel, and scheduling them in your editorial calendar. Instead of spending weeks crunching data, with a SWOT analysis, you can start creating strategic, lead-generating content within a day. Are Google Ads Dead or a Viable Lead Generation Source? 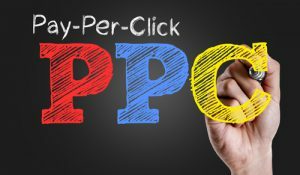 Google Adwords has changed a lot since its launch in 2000, and while it’s no longer as cheap and easy as it once was, it still holds the potential to bring you construction leads. With an up-to-date Adwords strategy, you can attract leads you might not find elsewhere. One of the biggest benefits of Adwords is its ability to bring in leads faster than improving your website’s visibility through search engine optimization (SEO). SEO, while highly valuable, is an involved process that can take four to six months to show results. With Adwords, your link can be at the top of the results page for a highly competitive term in a few hours as long as you can place the top bid for that term. Using Adwords also gives you a chance to outrank a strong competitor. Maybe you’re the new guy in town for retail store renovation, and your competitor has been there for 10 years. 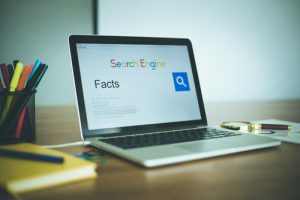 Outranking them in the search engines through SEO could take years, but Adwords can quickly make your content just as visible as theirs. The automated target outranking share bidding strategy offered through Adwords makes it even easier. Use conversion tracking codes to calculate each ad’s ROI. A/B test your ads and landing pages. 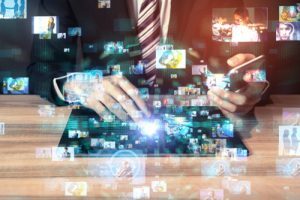 Pay attention to whether Search Network, Display Network or Youtube ads work best for you and refine your strategy accordingly. Set a strict budget and spend more on an ad only when it gets results. 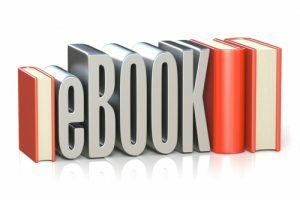 Posted on December 11, 2018 December 18, 2018 Author David MineerCategories NewsTags adwords, online advertising, pay per click, ppcLeave a comment on Are Google Ads Dead or a Viable Lead Generation Source?